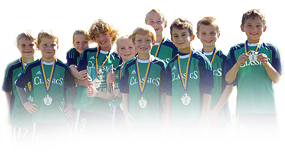 PA Classics will be holding our first annual PA Classics Charity 3v3 Soccer Tournament on Saturday, August 3rd. This will be a fun day of soccer to help benefit our local community. 100% of proceeds will go to both the Manheim Central Food Pantry and Water Street Mission in Lancaster. Non-perishable food items will also be collected. Registration will be open to both PA Classic players and players from outside of the club. We hope you will join us! Please save the date as more information and registration will be up shortly.